There are a lot of reasons why I should write this post, and many more of why I shouldn't. Grief is extremely personal. How I experience grief is not how you might experience grief, but it also might happen to be exactly the same. It's subjective, indiscriminate and is one of the hardest emotions a human will experience in their lifetime. For all of these reasons, it simultaneously makes grief extremely hard to write about, and important to write about. And as it happens, the subject of my grief for the last month, has been a friend who combatted anything and everything 'hard' to talk about, if it was important for the topic to be heard. At the beginning of August, I made a choice to fly out to France to escape real life before moving back home to Dorset. It was a decision I made originally knowing my friend Dean was extremely sick, and then continued to stick to despite Dean keeping me updated with how his cancer spread. I talked to friends, family and Dean himself, and everybody was adamant I should stick to the original plan and leave the country, and Dean would be in Weymouth when I returned home a month later. Over a year into his diagnosis, I had never come to terms with the idea of 'terminal' cancer, largely because I believed with every fibre of my body that if anybody could overcome cancer, it would be Dean. Which meant, when I was on my lunch break on September 3rd and found out Dean had lost his battle with cancer, I was unprepared. I was with an acquaintance who had no idea about the situation, on a campsite in France, with minimal signal or internet connection. And after crying on the phone to my mum for 5 minutes, I wiped away my tears and walked back to my colleague to continue working for the rest of the day. Dealing with loss is hard, and not being surrounded by those who know and love the person as you did, makes it, if possible, even harder. The first thing I did the next day, was call my friend Jordan to talk it out with, because we'd both been extremely close to Dean. 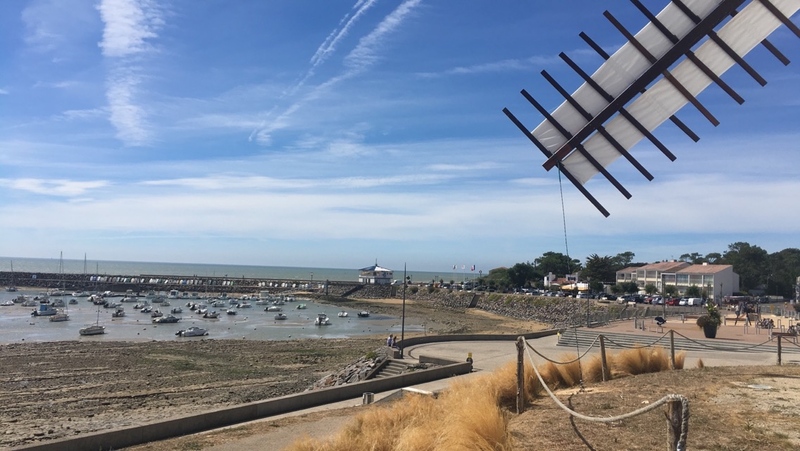 Just because you're abroad, it doesn't mean you're alone, and with whatsapp, phone calls and social media at your fingertips, for me it was important to stay connected to everything going on at home, whilst I remained in France. I had to have a serious think about returning home. Did I want to get on a flight the next day or stick out my contract? Did I want to return to my friends and family, or work through the mourning? In both cases, I decided to go with the latter. I read somewhere, that guilt compounds grief when you're away from a loved one. And I couldn't agree more. At first, I was overwhelmed with guilt at being so far away, having made this conscious decision. But I knew the decision itself was based on a rational mindset, and had been insisted upon by everyone else who knew and understood the situation. More reasons for my decision, were based on personal circumstances. For instance, I would be returning to Dorset, where I have almost no mutual friends with Dean. Returning back to Dorset would also mean I'd be sitting around thinking a lot about what happened, and with no date for a funeral or ceremony of any kind, I had no idea if I would be sitting around for days of weeks. For this reason, I decided to wait until I found out what would be going on, and would fly home especially for that. Knowing I wouldn't be able to help in England any more than I could in France helped me focus on the present and get through the next two weeks, and when the funeral was announced, I was ready to fly home two days in advance. I can't stress how much relief I felt at finally knowing when I would be going home, and what would be happening. Although it came synonymously with a sense of dread, making a plan and having an idea of what I would be doing, continued to be a source of stability in what felt like a time of madness. Returning to a different camp site, I'd only formally told a couple of people what was happening back home, one being my manager. Others had seen on social media, which was both a blessing and a curse, and one thing I am glad I stuck with, is deciding before I arrived, you don't need to tell everyone what's going on. Uncomfortable silences, awkward moments, it doesn't matter if you cry or get upset in front of strangers, nobody needs an explanation for whatever you're going through, so long as you have the support you need in other forms. As I said at the beginning of this post, every situation is so personal when you deal with grief, that I can't possibly tell you whether you should jump on a plane home or not. But when I was abroad, I found myself googling this topic myself, hoping somebody else would have a black or white answer for me, and I wanted to share my own experience. Coping with grief is personal, and it is horrendous. But my biggest advice is to make sure you take the necessary steps to ensure your own mental health. Make a plan, find a support system, and know you will get through this horrendous, unstable moment of your life.